In the last 2 years membership of these groups has grown (now 900 and 3,450 members respectively), but Facebook has grown to 10 times the size that it was then. Furthermore, with social media (and the internet in general) not governed by the same restrictions that apply to traditional media for political campaigning in the UK, it is clear that online campaigning will play a significant part in the forthcoming UK election. 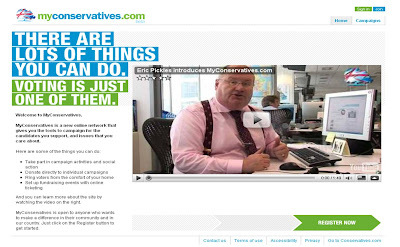 Whilst the Conservative party in the UK have traditionally had deeper pockets than the Labour Party or Liberal Democrats, it will be interesting to see how they respond to MyConservatives.com - or have they missed the boat already?